How should you buy your second investment property so you can be set up for property 3, 4 and 5? If you’ve purchased one property, you may be wondering how should you buy your second investment property. What sort of properties should you be looking at in what sort of area and what’s going to help you get to property number 3, number 4, number 5 and onwards towards financial freedom of whatever it is you’re seeking for yourself. Today, I have with me Ben Everingham from Pumped on Property, my buyer’s agent of choice. 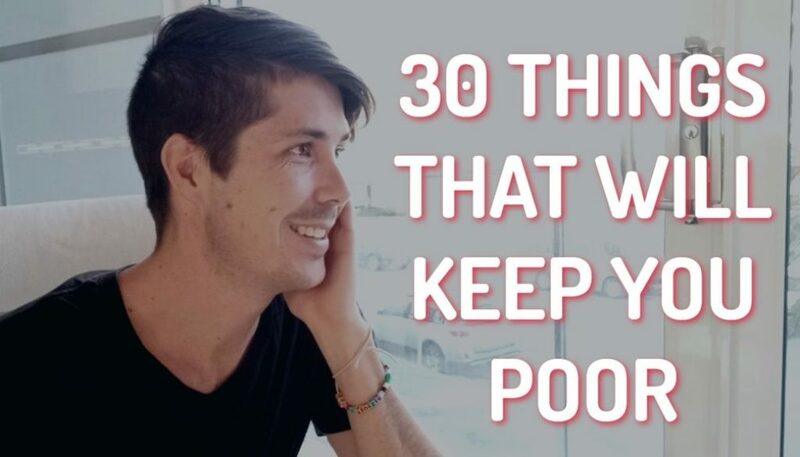 And we’re going to talk about this issue of things that you should look for in your second property. Ryan: Hey, Ben. How’s it going? Ben: Hey Ryan. Thanks for having me here. Ryan: No worries. First, let’s say how many properties do you own now? Ben: Quite a few. Let’s just sort of say it that way. We’re definitely starting to get towards 10 now, which is great. Ryan: Okay. So, you definitely past your second property and so you’ve been through this experience before. 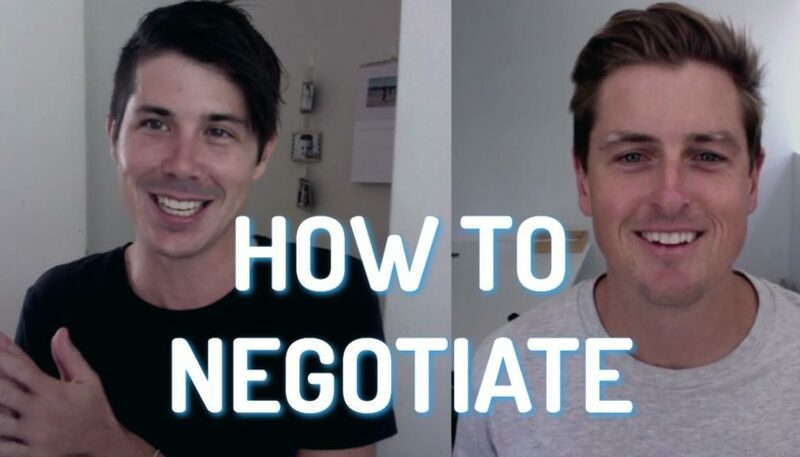 What we wanted to do is kind of chat back and forth about what are some of the things people should consider when they’re looking at buying their second property to set them up for a win in the future. 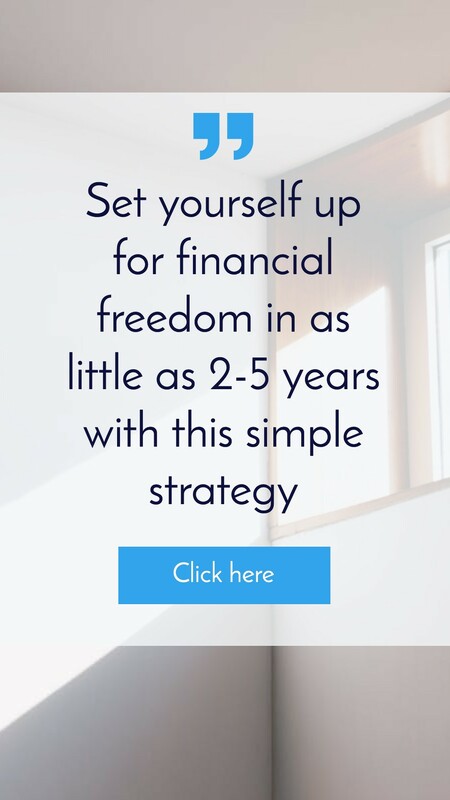 Because I’m guessing most people won’t want to stop at 2 because 2 is unlikely to get you towards financial freedom, so you’re probably going to need 3, 4, 5 or something like that. And so, right off the bat, what do you think are some things people should consider? They already own a property and they’re now looking to purchase their second one. Ben: I think something that you actually mentioned in your intro, which was looking at property 2 in terms of how it’s going to help you get property 3, 4, 5. As we’re both aware, less than 15% of the population in Australia ever moves past property 2. And I think so many people get stuck there. So, the first thing that I would be doing before rushing out and buying property 2 would be getting a strategy of how I’m going to get to property 3, 4 or 5. As you said, 2 properties is going to be amazing and you’re going to be in a great position by the time you retire. But if you’ve got the intention like we did to get out of work in our 20’s, then it’s going to be extremely, extremely difficult to do that. The first thing is definitely get that strategy in place and understand how this property is going to affect the next and the next property after that. Ryan: Yeah, and we’ll talk more about that in this interview, but it’s easy to say to someone, “Oh yeah, get a strategy in place.” But I think most people have no idea how to even start and how to even think about a strategy or think about how property 2 is going to affect property 3. So let’s go through that sort of stuff. How should I be thinking if I’m going to purchase property 2? What are some things that could affect the purchase of property 3 down the track? Ben: The major hurdles that most people come across at the moment, due to the recent changes in APRA, is servicing property 3. We talked about this briefly before today’s call, but in a nutshell, they’re trying to stop investors entering the marketplace or they’re putting the brakes on investors entering the marketplace because prices in Melbourne and Sydney have obviously boomed in the last couple of years. So some of the things that they’re doing is making people either earn more income to service more debt or they’re devaluing the rental yield on the property that instead of looking at your rate, from an interest perspective, at 4 or .5%, which is what they’re charging you, they’re looking at it like it’s a 7% interest rate. So, those sorts of things are what’s stopping people moving forward. In terms of the right type of property, it’s really a property that’s going to enable you to jump into property 3. And what does that look like? Over a 2-year period, it’s probably a neutrally geared property. So, something on current interest rates on an interest-only loan. Say, you spend $350,000, you want it to rent for $350 per week. You also want that property to be in a growth market. So somewhere like Brisbane or New Castle or the Central Coast in New South Wales. And you also want the ability to add a secondary dwelling to that property, so something like a granny flat in the backyard that can take your rental yield from 5% through to 7.5%-8%. And that’s going to, again, look better on paper from the bank’s perspective for you. Ryan: I think something that people really need to be aware of is with these new rules that came in with APRA, a lot of the banks – I’m not sure if it’s all of them, I’m not a mortgage broker – but are saying that, “Okay, interest rates at the moment, 4.5-5% or whatever they are, but we’re actually going to assess your ability to service a loan based on a higher interest rate of 7%. And they’ve also put caps on how much yield they’re going to look at from a property. So, you could buy a super positive cash flow property with a 15% yield that’s just out of this world, but the banks are only going to look at if that property was generating a maximum of 7% yield. I think what you’re trying to get across or what I’m hearing is that if someone’s going to purchase a property and they want it to be a leapfrog to get them to number 3, they need to be careful of these two factors in terms of the rate and the yield of the property. So, you don’t want to, I guess, over-extend yourself of property number 2 because they will be saying, in terms of serviceability, looking at a 7% interest rate. If you buy a property that’s too expensive or at the very limit, well then, you’re just shooting yourself in the foot for property number 3, but then, also, if your yield is too low, that’s going to affect serviceability and if it’s too high, it’s not going to count for anything. 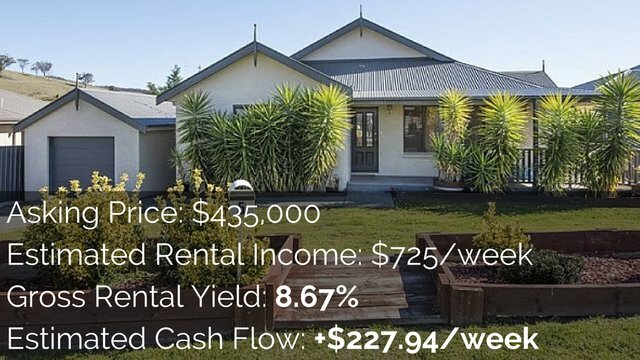 So it sounds like you’re saying to go for the middle ground, find something that’s got a decent rental yield, but it’s kind of neutral and then looking at pushing it towards that 7% yield. Ben: Absolutely. That’s a perfect way to wrap it up. I think putting my shoes back on when I was purchasing my second property, and this is what I’d find from speaking to a lot of investors each month is that, for some reason, when we’re buying property 2 or it might be investment property 1 after we’ve bought our own home, a lot of people look in their local marketplace. But if your local marketplace is Sydney where the average house is $1 million or Melbourne where the average house is $600,000 but the rental yield in those areas is only 2.5-3%. You’re potentially picking up a property that feels comfortable and safe, but is going to put you so far back from achieving your long-term goals. It’s far easier to buy a property at a reasonable price that has the potential for future growth than to spend all of your money and put all of your eggs into one basket in a market that may already have done it’s dash for the immediate future and then, that’s also a type of property that’s really going to stop you moving forward long term. Ryan: While we’re on this about people buying multiple properties in the same area. What do you think about – I’ve read articles about people diversifying their properties in different areas? Let’s say Sydney has peaked, we don’t know that it has, but let’s say that it has and it’s going to be stagnant for the next 2, 3, 4 years or something like that. If you bought a property in Brisbane and say that grew a bit, then I guess it helps you because at least one property is growing. Do you think people should take that into account when they’re looking at property number 2 and diversifying from the area they bought their first property in? Or do you really, it’s about researching and looking at the growth factors of an area and if you’re in a good spot, buy again in that area? Ben: 100% the second option. There’s no rule of thumb to go let’s diversify here and there. Because even in a market like Sydney, for example, you could be in Sydney West and then the Eastern side of Sydney and while both of them have gone up in the last few years, they work completely differently in normal cycles. So, I would suggest that, as you said, you go back and you do your fundamental research. If you could have bought 2 properties in Sydney 3 years ago, it would have been far better than buying a property in Brisbane and a property in Sydney 3 years ago. So, if you think an area has got some potential for growth based on that high quality that you’re doing, then go for it. Put some more eggs in the one basket. I don’t really like having too much value in one suburb. So, I’d suggest don’t buy 3 properties in the one suburb because it’s comfortable and it feels safe. Maybe look at something on the North side of Sydney and something on the South side or same in Melbourne, same in Brisbane, same in Perth. Ryan: I think when it comes down to doing your research; don’t just look for one suburb that has the right indicators for growth. You want to find multiple suburbs with those indicators and then try and find properties in areas that have all the right growth indicators, but not necessarily all the exact same area. I guess we’ve talked about we don’t want to price ourselves out of the market in terms of serviceability when we’re buying number 3. We don’t want to go with something with super low yield because, again, that’s going to screw us in terms of serviceability. 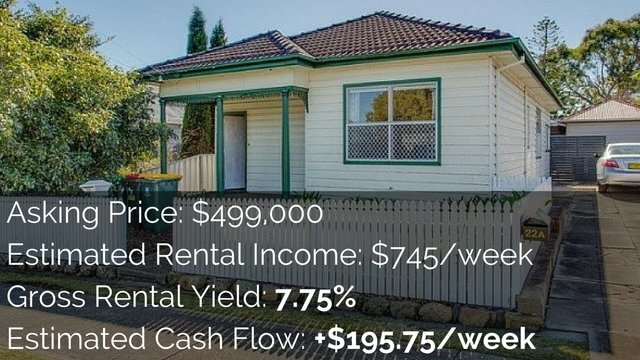 What do you think, in terms of purchasing a cash flow property for number 2, in terms of generating some passive income already? Or do you think most people at this stage shouldn’t really worry about getting passive income out of their portfolio, but should more just worry about growing their portfolio? Ben: You and I have had some pretty good conversations about this off-camera and I really believe that a foundation of a great property portfolio should be built on capital growth with an option to manufacture growth on top of that with cash flow on top of that. It’s really easy for me to say that after buying the sorts of properties that I have and learning those mistakes the hard way, but if I was starting out again, I wouldn’t be sacrificing cash flow for capital growth or vice versa. I’d be looking for a property where I can get both options because capital growth is what’s going to make you really wealthy. Let’s say a property you buy for $400,000, it increases in value by 10% in the first 2 years, that’s a $40,000 increasing in value. There’s no property in Australia that’s going to put $40,000 per year in 2 years in your pocket that’s also going to give you the cash flow on top of that. So, what I would be suggesting is that people should be chasing that capital growth because that $40,000 is the next deposit for property 3. I’d also be chasing properties that aren’t perfect that you can put a dollar into the renovation and get $2 out. And then on top of that, as we discussed, find something where you can add that granny flat in the background. That’s probably the sort of triple threat almost of the property industry. Whereas, really, it’s not either-or. It can be both-and. You can get capital growth and you can get cash flow, but it’s going to take a lot more effort. It’s going to take more research. The cash flow might not be as extreme in some of these other areas, but you can still get good cash flow. You can generate a neutral or a positive cash flow from a property, but if you’ve done your research and you’ve invested in the right area, you’re going to get some capital growth as well. I think what you’re saying, in terms of if you want to buy number 2 as a stepping stone to number 3, then capital growth is going to be a major factor because you’re going to need that equity to draw from in order to go and invest in number 3. Unless you’re a super awesome saver and you can go ahead and save another deposit, which let’s face it, it’s hard enough for most of us to save one deposit, rarely people will save two deposits. It’s just very difficult to do that. You definitely, I think, and I’m like the positive cash flow guy, but I definitely say, in this situation, you do want to look for a strong growth area and something that is going to grow. However, I’m not a massive fan of highly negative-gearing properties because I’ve seen life situations turn on their head for people. People get divorced or lose jobs or go through all of these different situations. And if you’re heavily negatively-geared, you can get all the capital growth in the world, but if you can’t afford the property and you’ve got to sell it because you can’t afford to own it, then you’re not going to get any of that capital growth. I definitely think it’s a balancing act in terms of what you’re looking for. Ben: 100% agree with you. It’s interesting, the more that we learn, most investors end up in the same situation where it’s capital growth, manufactured growth and cash flow. Everybody is at a different life stage. 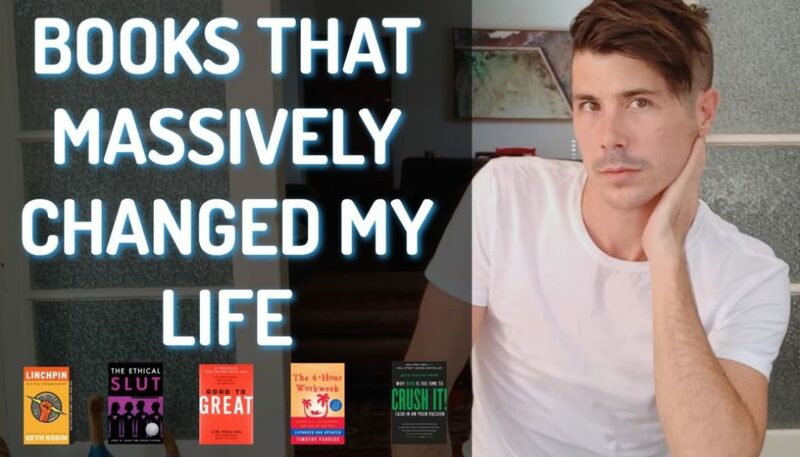 Recently, Ryan referred me to a mutual client of ours now and he came to us and his goal was replacing $100,000 of income within a 7-year period. He was an aggressive businessman with a lot of available equity and so; we’ve just bought his 4th property, which was a set of 4 units in a regional area in New South Wales. I personally, based on my stage of the cycle, wouldn’t have bought that property for me. But his goal was to achieve $10,000-$15,000 per year passive income for these properties, so he won’t mind me saying that we paid $485,000 for these 4 pack of units which rents for $40,000 per year. So, for him, that’s a 10% return and that’s exactly what he needed at that time. And then, there’s other people that are looking for that inner-city-11-kilometers-from-Brisbane-type option where you can renovate it up and then put the granny flat out the back and still achieve your 7% rent return. Plus, you’re getting the flip side of the 4-5% per year capital growth, long term, out of the property, too. There’s all different types for different folks as well. Ryan: Yeah. Let’s move on and talk about manufacturing growth. Because I think this is something that’s overlooked by way too many investors. So many investors assess the property market and they buy in an area or they choose a strategy based on I’m going to buy and hold this property. It’ll go up in value over time. Rent will go up over time. And that’s all well and good to think about, but I kind of wish more people would take an active approach to their property portfolio, treat it more like a business and say, “How can I add value to the world?” And the same thing that we do in business or that we do in our jobs is that we add more value then it cost us and that’s how we make a profit. I wish that people would start to look at properties and look at property number 2 and say, “Okay, where is a property where I can actually add value to the world and I can actually add value to this property more than it’s going to cost me with some creative input?” Which may be a renovation or it may be a granny flat or it may be re-zoning or it may be a face-lift. What do you think for property number 2 and people in terms of manufacturing growth? Is there a particular strategy that’s going to work for more people than other strategies? Ben: Definitely. My first rule of thumb is definitely don’t bite off more than you can chew. People buy their first property and then want to do a subdivision for property 2. That’s all well and good if you’ve got $200,000 in equity or savings, but if you don’t, a safer strategy, so that you don’t come undone, before you even begin running is to look for the ugly duckling in the best street and something that you can cosmetically renovate. We’ve talked about this before, cosmetic renovation might be repainting, it might be re-dressing the windows, it might be changing the light fittings, it might be rendering the house. It’s all that really basic stuff – polishing floor boards, replacing carpets. That simple stuff. To me, that’s the first step. If you look at a 5-year strategy of just buying that second property, in the first 12 months, you probably just chuck a tenant straight in and leave it as is. After your 12 months, you go and do that basic cosmetic renovation. And then, you re-value the property because the market’s increased if you bought well. If you bought under market value, obviously, you’ve got some value there, plus the renovation. So you should be able to get a 10% gain in that first year from those couple of things. And then, maybe at the end of year 3, I like to buy 3-bedroom, 1-bathroom houses that I can convert into a 4-bedroom, 2-bathroom house. That’s a bit more of an aggressive strategy, but it enables you, again, for every dollar you put in to get at least $2 of value back out of the property. You’ve done the cosmetic renovation in the first 12 months; you’ve pulled out a deposit to move on to your next property. In 3 years, you go add those bedrooms or bathrooms, that’s again another deposit to move on to another property. And maybe at the end of year 5, when you care about cash flow more, you actually go and add that granny flat and that granny flat enables you to increase the yield. There’s so many ways of doing it, but manufacturing that laid strategy, that’s the perfect option for a second homebuyer. You were saying cosmetic renovations. You don’t always have to do a conversion. I was just looking to rent. We looked at literally 2 places next door to each other, 2 townhouses. One was renovated, that was really nice, that was on the market for $410 and the one next door, exact same layout, basically exactly the same house, was un-renovated and was renting for $365. Ryan: I didn’t go to the $410 place, but we ended up moving there, but my wife saw it. But I went to the $365 place and I was like, “Yeah, I wouldn’t live here.” just because it wasn’t renovated. So, if it does that for rent, it can also do that for the value of your property. Don’t underestimate the value a good cosmetic renovation can do to the value of your property. Ben: Absolutely. Yup, 100% agree. Ryan: I think, in summarizing, we would say you need to be careful with serviceability, right? Ryan: So we don’t want to buy something that’s too expensive that’s going to lock us out of the market because we’ll never be able to service anything again. We want to be careful not to go for something that’s too low-yield because, again, that’s going to ruin our serviceability. Ryan: We were talking about super high cash flow isn’t going to help you in terms of serviceability. It may hurt you in terms of getting the capital growth you need. So that might not be the best strategy, but obviously, everyone needs to assess their own situation. We’re saying that, really, we’re looking for those middle ground properties that are decent cash flow, but neutral or slightly positive or slightly negative, but they’re in good growth areas. But then, also, properties that we can improve upon and manufacture some growth out of it. Did I miss anything? Ben: No. I think we’ve spoken about a lot, but you wrapped it up really well. Ryan: Yeah. I hope that helps people who have purchased a property and they’re looking to move on to their second property. In the next episode, we’re going to talk about un-stuck when growing your property portfolio. So if you feel like you’re currently stuck whether it’s at one property or you’re stuck at 2 or 3 or 0. If you’re stuck, we’re going to talk about some strategies and ideas to help get you un-stuck. Maybe mentally, maybe financially, all of that sort of stuff. You guys can check out Ben, he is a buyer’s agent and a very good one at that. Ben, do you want to give them a little bit of information into what you do for your clients? Ben: We work with Ryan’s community. Every month, we offer a strategy session for 10 of his listeners, which we think is quite cool. That’s really about, as Ryan said, how to identify where you are, where you want to go and bridge that gap in terms of identifying where that next step is. I think that was the challenge for me at property 2 and that’s a challenge for a lot of people at property 0 to property 5. You know, what’s next and how can I achieve my goals fastest? So if you feel like dropping in for one of those sessions, we can definitely help out. They’re completely complimentary and free for Ryan’s audience. As a business, we help a number of investors every month from all over Australia purchase high quality properties that are exactly the same as the ones that I’ve been able to replace my income with. I’m obsessed with them. Love this stuff just like Ryan does. Ryan: Yeah. I think in a previous episode, we were talking about how many open homes you went to and it was like something over 100 or 300 a month or something like that. So Ben looks at a lot of properties, finds a lot of properties for his clients. So, if that’s something that you guys are looking for help with, if you want help finding a property in one of those areas that we talked about – something with a potential that I can manufacture in the future. Maybe you don’t have the time or the skills to do it yourself, then hiring and paying for a buyer’s agent might be a worthwhile investment for you. As Ben said, he is offering On Property listeners a free complimentary strategy session. If you want to check that out, just go to onproperty.com.au/session and you can go ahead and book in a time over there with Ben. Look, I just thank Ben for all that he does for the community for the free knowledge that he shares and we really appreciate it. So, until next time, guys, stay positive.